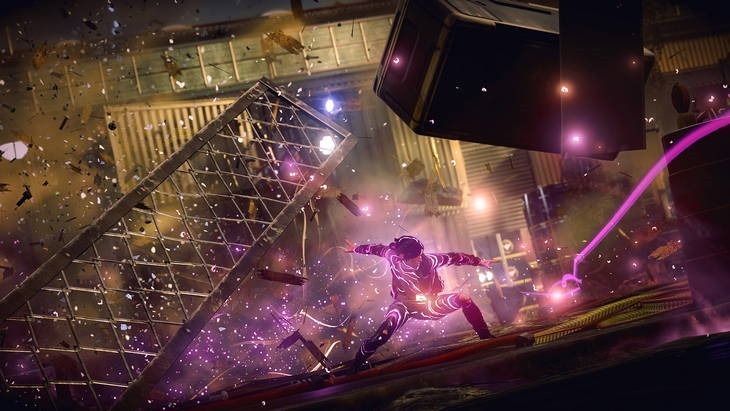 Infamous: First Light brings you the mechanics and setting from Second Son, but wraps them up in a brand new adventure with a new protagonist and new powers. The hero – or anti-hero – this time is Abigail Walker, or Fetch as you may know her from Second Son. She’s the lady that unwittingly gave Delsin his neon tricks. It flits between two timelines, both occurring prior to the events that saw Delsin Rowe and his overbearing smirk destroy half of Seattle. It begins with Fetch, a prisoner of the Department of Unified Protection, having to explain her story and demonstrate her powers to the still delightfully evil Brooke Augustine. In the more recent timeline, Fetch spends her time regaling her woeful past and taking on waves of enemies in a series of battle arenas within DUP prisoner base Curdun Cay ; a bit like Horde mode with an Infamous bent. The rest of it tells Fetch’s story of homelessness within Seattle, the bond she has with her brother and how the two of them got in to, and out of a lot of trouble. It delivers much of the same her backstory and exposition that we saw from that game, just fleshed out a bit. 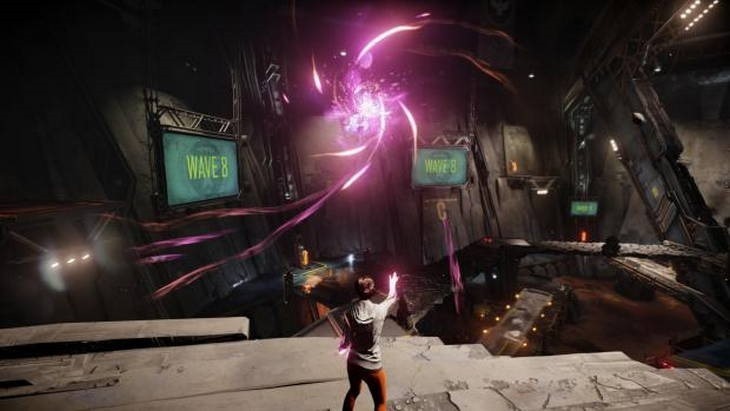 As it switches between Walker’s recollections and incarceration, Fetch gains new and more destructive abilities and unlocks a new battle arena. Her expanded narrative very nicely contrasts with the Seattle you get to play in here, which is somewhat more limited, smaller in scope and and size. Set before the DUP has taken control of Seattle, the city itself seems a little more alive; not in terms there being more people on the streets, but just without the overbearing sense of facism. There certainly isn’t more to do; much of the open-world fat has been trimmed, leaving behind just a sliver of fun in the periphery. Unlike Delsin, Fetch only has one Conduit power, which as mentioned, is neon. That suits me just fine, as it was my favourite of the ones granted Second Son’s cocksure lead. 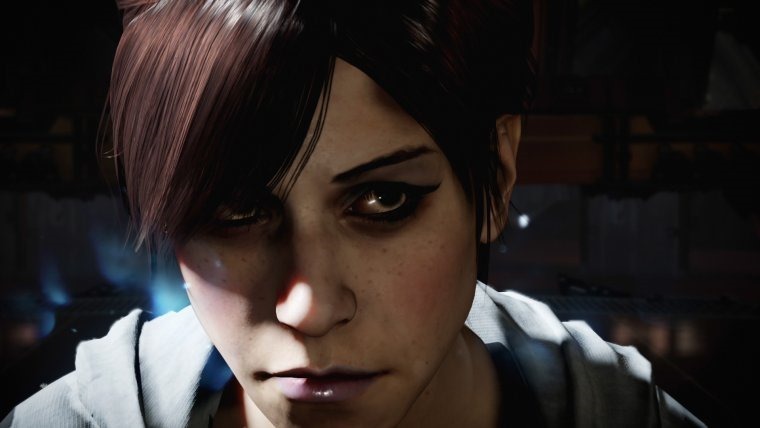 She doesn’t however, feel like a tired retread, with a few nuances and differences in her skillset ensuring you never feel as though you’re playing as a female version of Delsin. Though you can only explore half of the city this time around, traversing it is a delight thanks to Fetch’s unlimited ability to sprint. Coupled with the neon boosters that are just about everywhere, getting around is quick and easy, and importantly, fun. She’s got a somewhat more expanded skill-tree to, thanks to her only having one power – which gives you more things to spend all of your upgrade points on, which you’ll earn by completing challenges, like getting 100 headshots, or by completing races against big balls of light. The story itself, unfortunately, didn’t really go anywhere. Yes, it delves in to Fetch’s motivations, painting her as somebody whose vengeful nature is justified; she’s not just some punk-haired kid with a snotty-attitude. Its biggest problem is that it’s really, really short. You can finish the story in 3 hours, with little impetus placed on you to do much afterwards. You could do all the races, complete all the challenges and electrically graffiti everything, but that’ll only extend it by an hour or two. There’s no branching morality path or alternate power-set necessitating a second play-through . The battle arenas supply a bit of longevity if you’re fond of scores and leaderboards, but the Curdun Cay setting is stifling compared to the more open Seattle. If you own Second Son, you get to tackle the arenas as Delsin if you like, which actually gives his fourth set of powers a reason to exist. Beyond that though, there’s not much that’ll have you going back for more. Still $15 for a very nearly complete, if short, Infamous experience is a good deal. Plus, it’s a bit of DLC that, refreshingly, doesn’t need the original game to be played. That makes it a rather excellent entry point in to the whole Infamous series. In short, it’s really more Infamous, and that’s not really a bad thing. 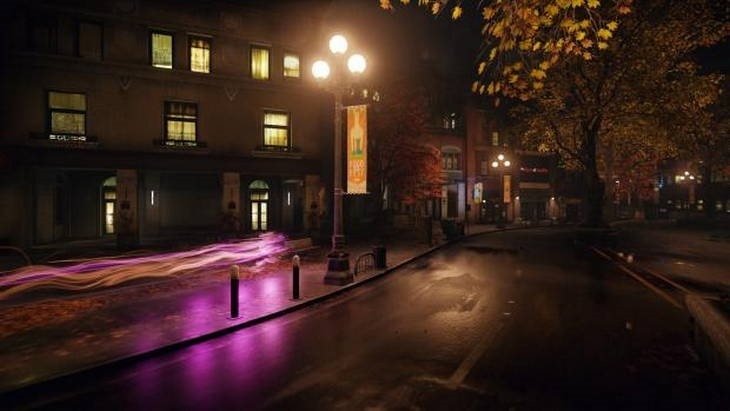 Infamous: First Light provides a bite-sized experience, a mere sliver of Second Son. It mirrors that games main themes and focuses on the best of its powers, but is let down a little by its brevity. Previous article When did it stop being about the games?